When it comes to funerals, many of us don't like to think about them, let alone plan for them. Today more and more people are realising it makes a lot of sense to pre-arrange their funeral. This gives peace of mind that your wishes are known, and you have made arrangements for them to be carried out. Your wishes need to be recorded/written down and kept on file. Our personalised planning form can be completed online and emailed back to us, or printed and put in a safe place with other important documents. We will keep your details on file for when they are needed – you will just have to make sure that your family and close friends know about it. It is a good idea to keep a copy with your will. 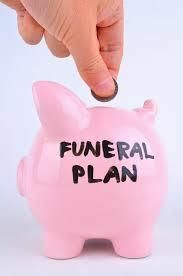 Funeral Arrangement Form (Please click on the icon Funeral Arrangement Form and complete and either return to office@dougnesbitfunerals.co.nz) or keep it in a safe place at home or with your solicitor where your family will find it when required. Our team at Doug Nesbit Funeral Services Ltd and McBrides Monumental Services Ltd are more than happy to arrange a personal visit to talk to you about your preferences. 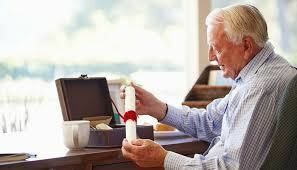 Often people wish to put monies aside in preparation for paying for their funeral service. The belief is then that the financial burden or responsibility is not placed on children or family members. Legally, you are entitled to place up to $10,000 into a pre paid funeral trust per person. Doug Nesbit Funeral Services place these monies with Trustees Executives. Here funds remain invested, collecting accrued interest until required. Any funds left over after payment of the funeral account will be refunded to the Estate.